CP Cases, the UK based specialist designer & manufacturer of protective rackmount enclosures and transit cases is proudly supplying more than 1200 custom-designed rackmount enclosures and more than 4000 adaptors and brackets, for installation on-board the two new Queen Elizabeth (QE) Class aircraft carriers currently under construction. CP Cases won the contract in competitive tender last year and manufacture is now underway at the company’s West London plant. “The building of these two mighty ships is a monumental engineering project and we’re very proud to be part of it” said Peter Ross, Managing Director of CP Cases. “It is humbling to think that we’re part of a small elite group of engineering companies, which represent the “crème de la crème” of the UK’s fi nest manufacturers, and that the enclosures we design and build here in our factory, will play a mission critical role on-board these Royal Navy flagships. We are part of a truly national project, supporting local jobs and communities throughout the whole country, with thousands of people working towards the single goal of making these ships part of our national heritage”. 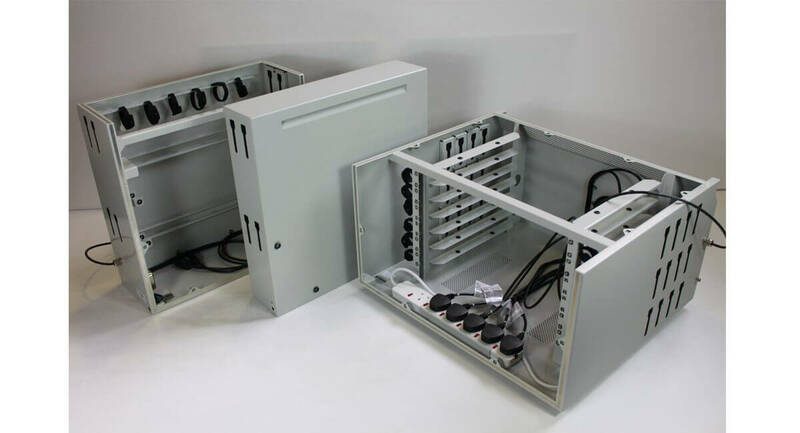 The contract, worth in excess of GBP £1.25 million, is for datacoms enclosures of various sizes. 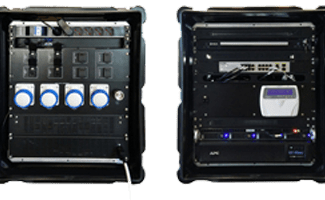 The smallest enclosure accommodates 2 single units of 19” rack-mounted network switches; the largest cabinet stands almost 5 feet tall and can accommodate 29 units. Also developed especially for this project are a series of plinths and brackets, which secure telephone handsets to horizontal and vertical surfaces around the ship, these are being supplied in phases between now and 2014 as part of the design, build and commissioning process. Working closely with BAE Systems, one of the four Aircraft Carrier Alliance (ACA) partners, CP Cases is also integrating the power supply wiring, voltage filter and cable management systems in order that once installed into the ships, the enclosures are ‘plug & play’ ready. 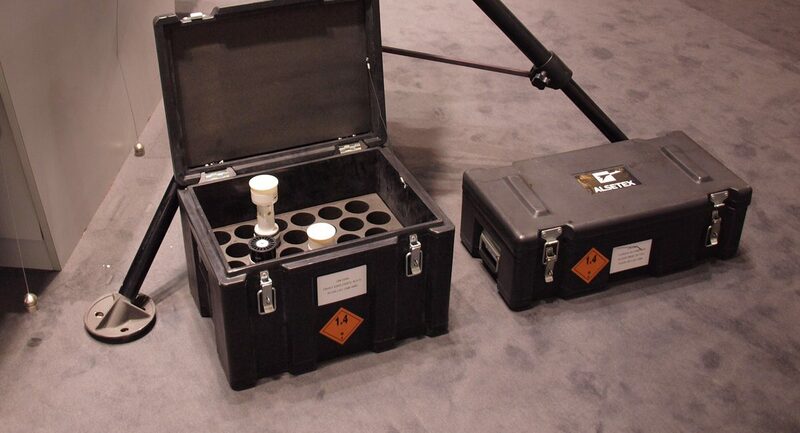 CP Cases has introduced and utilised novel designs embracing the same materials developed specifically for EMC/EMI screening used as part of their own ‘ERACK’ series of portable Anti-Vibration rackmount containers, which are performance certified to provide a high level of electromagnetic shielding. 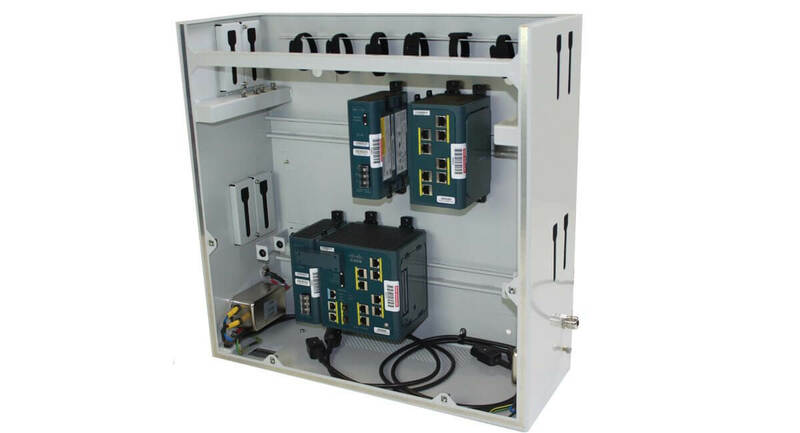 Their solution for providing electromagnetic compatibility throughout all sizes of enclosures, also manages interference which could potentially emanate where the data transfer cables enter and exit the enclosures. 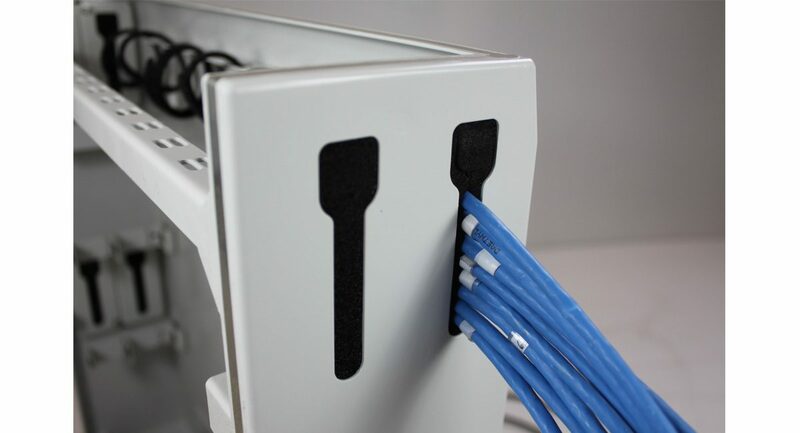 CP Cases have developed a unique Cable Entry Port (CEP) which allows cables, with accompanying connectors, to be fed into and out of the enclosure through a simple “foam flap” letterbox system. This specially designed (and EMI/EMC performance certified) CEP, uses conductive closed-cell polyethylene foam, which compresses around individual data cables. Conventionally, each cable would have been installed via an individual four part metallic cable gland, and bearing in mind that many enclosures have up to 144 individual cable entry & exit points, the CEP system provides significant advantages on installation labour hours, providing substantial cost benefits and ensures any future systems upgrades are implemented efficiently. 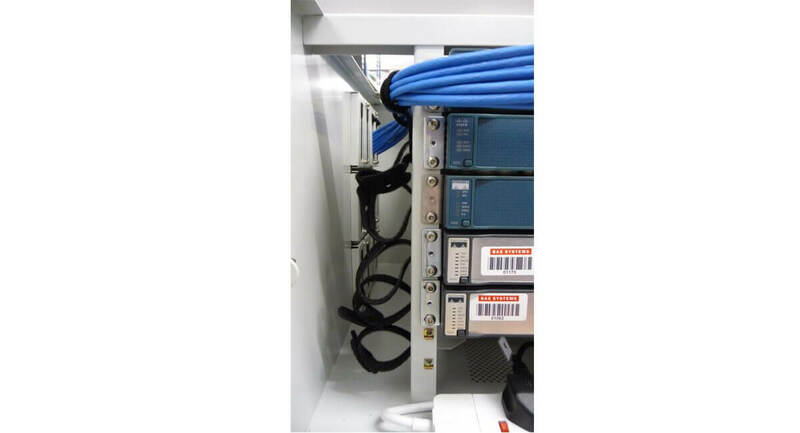 Cable management rails inside the enclosures with “hook-n-loop” cable ties ensure that the recommended bend radius for each datacoms cable is never compromised and that network switch gear connections are safe-guarded against accidental disconnections. 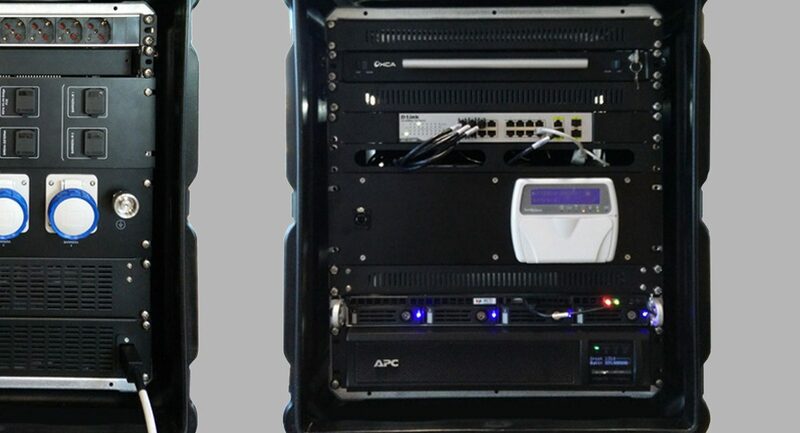 In parallel with EMI/EMC security, a primary function was to provide simplicity during equipment installation, maintenance and cable connectivity. Top & front covers are secured with unique tamper-resistant TORX PLUS® fasteners ensuring access is limited to authorised service personnel. Ventilation panels in key areas, provide natural convection that dissipates any heat build-up even East of Suez. The thermoplastic powder coated surface finish is applied onto an etch primed base; pale grey, it is applied electrostatically without solvents and cured with heat to provide a hard wearing semi-gloss surface finish. This is tougher and much less hazardous than conventional liquid paint coatings and has exceptionally high corrosion resistance. 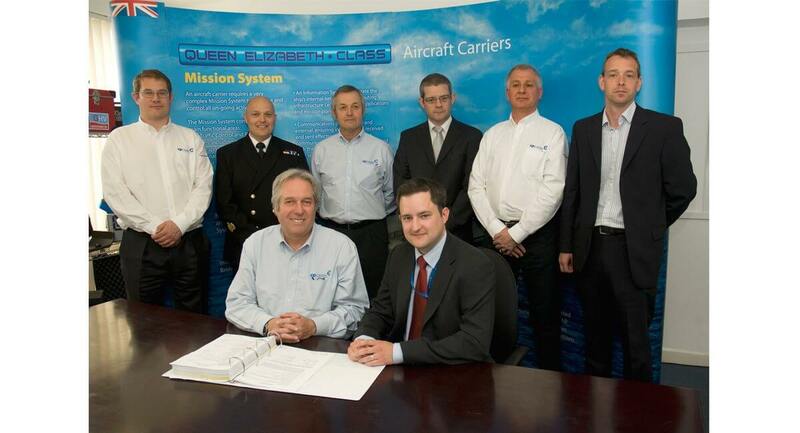 CP Cases is delighted to be part of the project for the two new QE Class aircraft carriers, a huge national endeavour rarely witnessed in the UK. The project has created or sustained between seven and eight thousand jobs at shipyards across the country, with many more engaged in the supply chain producing all component parts and build for the two ships, boosting local economies across the UK. Construction of the two new vessels is the largest shipbuilding project ever undertaken by the Royal Navy, and also one of the largest engineering projects ever undertaken in the UK, second only to London’s 2012 Olympic Park. When completed, the two aircraft carriers will be the largest surface warships ever constructed in the UK. Everything about the QE class aircraft carriers is on a gigantic scale, in fact the massive size of the project is more than most of us can contemplate: The sections for the two ships, which are being built in six different shipyards across the UK, will be transported to dry dock in Rosyth for assembly. Piecing together the mammoth three-dimensional jigsaw demands its own specialist equipment. Standing at a height of 68 metres (220ft), with a span of 120 metres (390ft) and a lift capacity of 1000 tonnes, the ‘Goliath’ crane is the biggest of its type in the UK. The crane will lift and place the carrier sub-blocks and components without any disruption to the adjacent dockyard area. It dominates the south-west Fife skyline and is clearly visible from the Forth Road Bridge and approach roads. Goliath is currently undergoing testing and it is estimated that it will have its fi nal handover by the end of the summer, with an operational target of later this autumn. The number one dry dock at Rosyth, which was built in 1916, is understood to be one of the best locations for building the aircraft carriers. Rosyth has the largest non-tidal basin for ship repair in the UK, which is thought to be an ideal environment for assembly, outfitting and maintenance activities. 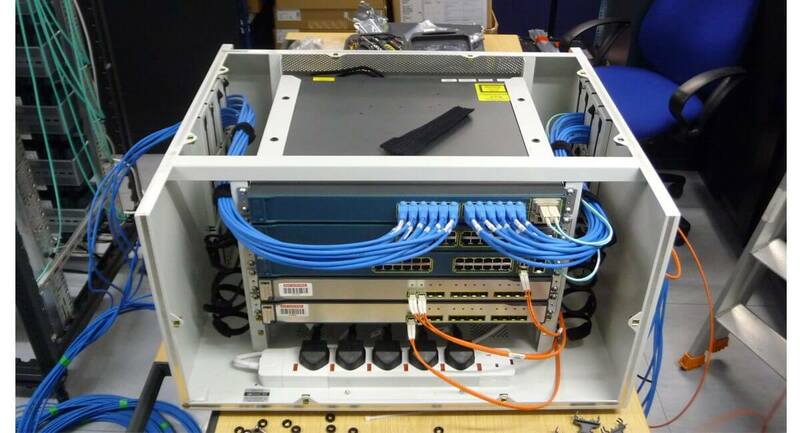 The primary function of the network equipment enclosures is to provide physical and electromagnetic security to various types of Cisco IE Ethernet network switches and the thousands of accompanying connecting datacoms, Ethernet and fibre optic cables. The communications requirement is substantial – the carriers need constant contact with all in-flight aircraft, the consort group, HQ and land forces. The network switches process and route this vital communications data. Each enclosure protects the 19” rack mounted switches from vibration, impact, particle and moisture ingress, and also provide screening from any electromagnetic interference (EMC/EMI) that could disrupt the mission communication systems from radar energy and other strong electromagnetic signals which are emanating from various positions on board, ensuring the ship’s sensors do their job without adversely affecting each other. The first shipment of 400 enclosures have been despatched to central stores in Motherwell, for onward shipping to Rosyth where the first carrier, HMS Queen Elizabeth is currently being assembled. Commenting, Dave Bickley, Supply Chain Specialist from BAE Systems Mission Systems said “ Yet again CP Cases have exceeded our expectations regarding the swift progress, attention to detail and willingness to do the best job possible at all times”.